Often times, hypnosis works even when other methods have failed. Hypnosis is a completely safe, natural state of mind that every person experiences on a daily basis. Many times, hypnosis works even when other methods have failed. While in the state of hypnosis, you are consciously aware of your thoughts and surroundings, but usual distractions tend to fade away or blend into the background because hypnosis by-passes the critical thinking part of the conscious mind. Because of this, and with the assistance of guided suggestions which are based upon your desired out-come, you are able to become more positively focused towards the success of your specific outcome or goal. Many people describe being in a hypnotic state as a very pleasurable experience; somewhat like an enjoyable daydream, or like when they are between the states of being awake & asleep. 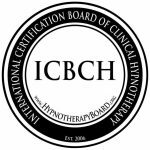 Additionally, there is no reason to fear hypnosis, because you are the one in control of the results of your sessions; furthermore, you can not be forced or coerced into doing anything against your will. TIP: Check out our Specialty Packages page for my best packages and offers, and then hop over to the benefits page to see a partial list of ways that hypnosis helps improve lives.